Meditation is a way to unite mind, body, heart and spirit. It is known for calming the thoughts, relaxing the body and creating a feeling of inner peace. Taoist Arts Center Meditation courses explore a range of meditation traditions through differing but effective and complementary techniques for expanding awareness. All Taoist Arts Center courses are designed to help students harmonize with themselves, nature and the universe. Chinese Meditation leads students to inner awareness, improved health, spirituality and wisdom through a wide range of breathing and awareness practices. These safe and gentle meditations help students gain self-knowledge while uniting body, mind, heart and soul. Taoist Water Method Meditation leads us to the core of our being. This unusual type of Chinese Meditation uses the energies of body and mind to resolve difficulties and attain a clear, relaxed spirituality. Progressing from the physical, through the psychological, to the spiritual, these guided inner dissolving meditations lead students to balance and harmony with themselves and the universe. Taoist Meditation is beneficial for all and may be practiced amid the stress of daily life. The gentle methods balance our energies while allowing our spirituality to develop at its own pace. It is particularly useful for releasing stress from daily life and helping individuals to become one with nature, the universe and other human beings. Chinese medical theory believes that our emotions are stored in our internal organs and that clearing their blocked energy can increase our health and vitality. In these guided meditations Taoist Inner Dissolving techniques will help students release stress and trauma from their organs, increase their chi, live more fully in the present and feel a connection to the all that is. Open to all those with prior knowledge of Taoist Meditation. Taoist Inner Dissolving is the central practice in the Water Tradition of Lao Tzu. As water wears away rock, Inner Dissolving enables us to wear away obstacles to our spiritual growth, leads us gently inward to our being and helps us fully live our lives. Effective yet gentle, the meditations in this course will help us to become more self aware and enable us to change or eliminate motivations we no longer find useful. Taoist Inner Dissolving meditations can be helpful for all those who wish to develop peaceful, relaxed energy and feel more at one with the universe. These safe and relaxing meditations from the Taoist tradition of Lao Tzu will help students to harmonize body, energy and spirit. The practices, which soften the breath, ease tension and increase awareness are a peaceful and effective way to bring spirituality into daily life.. The endocrine glands secrete hormones directly into the blood and effect the well-being of the entire body. Taoist Inner Dissolving techniques to help students release bound energy from the glands, bring them to balance and optimal function, improve overall health and expand consciousness. Open to all those with prior knowledge of Taoist meditation. Taoist Water Meditation is helpful for calming the mind, relaxing the nervous system and connecting individuals to their spirit. These meditations on the philosophy of The Tao Te Ching bring students to a personal appreciation of Taoism and an understanding of how it's philosophy of harmony and reserve can help them feel comfortable with nature, themselves and others. Taoism preserved and developed the native meditation traditions of China. In these meditations from the Water Tradition of Lao Tzu, students receive instruction on feeling and transforming the energies of their mind and body so they may connect and resonate with the energies of their inmost selves, nature and the universe around them. Cosmic Resonance provides a tangible connection to a profound but little known tradition of Taoist Meditation. This powerful practice was a favorite of Taoist Grand Master, Liu Hung Chieh. 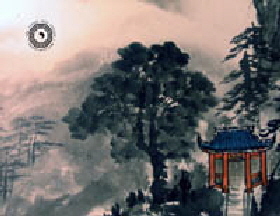 It unites Taoist Meditation with Gods Playing in the Clouds Chi Kung to circulate blood and chi, strengthen the internal organs, open the heart and connect individuals to the universe. Emptiness is the source of all being. In emptiness there is clarity, inner stillness and a central place that is permanent and still. The goal of many spiritual traditions. the peaceful, quiet mind, empty, yet filled with awareness is the perfect vehicle for increasing understanding and cosmic realization. Meditations in this course will help students relax, release energy blocks and convert emotional energy to spirit and emptiness and will be useful for everyone who wishes to relax into a new level of inner harmony and joy. Tai Chi Meditation is the merger of Wu Style Tai Chi with the practices of Taoist Meditation. It was created centuries ago in China to help people turn chi into spirit and emptiness. It is open to all students who have learned the Wu style Short form. The meditations in this course helps students open, refine and balance the core energies of body and mind with their chakras, central channel and aura (etheric body). Providing a tangible awareness of ones inner energies, Opening Your Core will be helpful for all those interested in increasing their energy, health and spirituality. Many spiritual traditions recommend being present and living in the moment. Long believed to promote feelings of contentment, Being Present helps people slow down and recognize the wonder in every day. Guided Insight Meditations offer students breathing, movement and awareness techniques that are an end in themselves as well as a jumping off point to deeper Buddhist and Taoist meditations and are useful to all who wish to increased consciousness and awareness of the universal in everyday life. and Individuals at all levels of experience.